A Frank Ocean-themed strip tease, an Anthony Hamilton-doused down home cuddle or an Alicia Keys x Maxwell sultry seduction? If any of these options are in your plans for you and your boo this Valentine’s Day, then let us introduce Big Von’s Bed Buddy mix. Based San Francisco, Big Von is not only one of my favorite DJ’s and KMEL radio personalities, he’s also one of my favorite people. Seriously, this guy is hilarious with rapid fire jokes and I love to hear him on the airwaves every time I’m back home in the Bay, pointing out ratchetry. So pour a glass of something potent or, you know, that second cup of coffee if you’re still at the office, and get into Von’s Bed Buddy mix. You’re welcome. 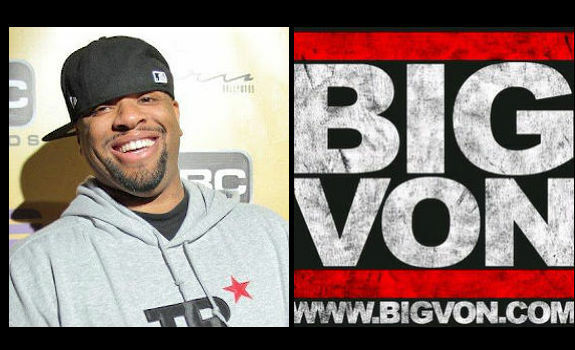 If you like Big Von’s Parlour Jam!, download it here and catch info on his parties and KMEL shenanigans at his site, Big Von and on Twitter. Know a Parlour-worthy DJ, email me at hillary@parlourmagazine.com and check out all of our Parlour Jams! here! Obama’s Next Four Years: More Politrix as Usual?